Rheilffordd Llyn Tegid (Bala Lake Railway) offers a delightful 9-mile (1 hour approx.) return journey alongside Llyn Tegid (Bala Lake), through the beautiful and natural Snowdonia National Park. 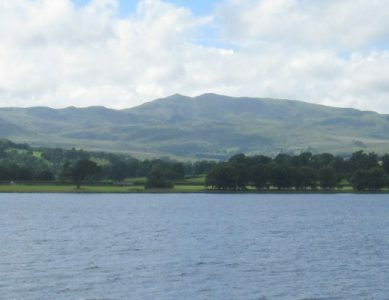 The journey offers extensive views of Llyn Tegid, its surrounding countryside as well as the Arenig Fawr, Aran Benllyn and Aran Fawddwy mountains. Keep a look out for the herons & buzzards that nest near the line – a perfect example of nature and machines living side by side. All trains start and finish there day at Llanuwchllyn station, where we have a cafe, locomotive sheds and heritage centre. 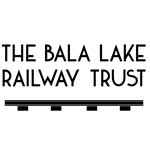 Please note, there are no toilets at Bala station. Public toilets are available at Llanuwchllyn and Llangower. This is the largest natural body of water in Wales at 1,084 acres, much used by water sports enthusiasts who benefit from the winds sweeping through the mountain valley in which it is set. It is 4 miles (6.4 km) long by a mile (1.6 km) wide and is subject to sudden and dangerous floods. It is of glacial origin and used to extend to some 8 miles long. It is crossed by the River Dee and its waters are famously deep and clear. The lake now forms part of the River Dee regulation system and the level at its outflow is automatically controlled. Depending on flow conditions and the level of water in the nearby Llyn Celyn, water can flow either into the lake or out from the lake at the normal outflow point. The lake has been a fishery of importance from early times. It is said that on moonlit nights you can see towers and buildings under the waters, and that bells can be heard. These buildings, according to legend, were the palace of King Tegid, husband of Ceridwen who was the mother of (Prince) Taliesin. Llyn Tegid is also home to the rare and protected whitefish called the Gwyniad (a kind of land-locked herring, that is said to date back to the Ice-Age) which roams the deeps.